After over 900 days in the VA, Jeff is settling into his new apartment in Jacksonville. 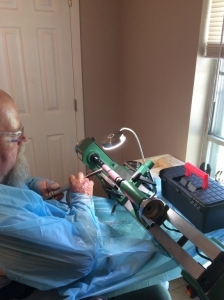 He has a new HF lathe, and a bandsaw. Apparently, his caregiver will give him some assistance on mounting blanks, and drilling and glueing in tubes. 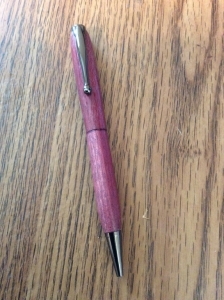 As a way of giving back to the VA, Jeff will be donating pens for the VA to give away. I'll get an address for him, along with a phone number for those wanting to help him out with materials or just to visit. Ken is really the one to contact about Jeff. And just asked me to post his latest news. I may have to stop by & give Ken some lessons on using the forum. Last edited by BSea; 08-03-2016 at 01:40 PM. Kindly, Jeff who? Our Jeff that owns this forum? This is Jeff. Quite a story. Thanks for that answer. Very shocking, the first time I read it! 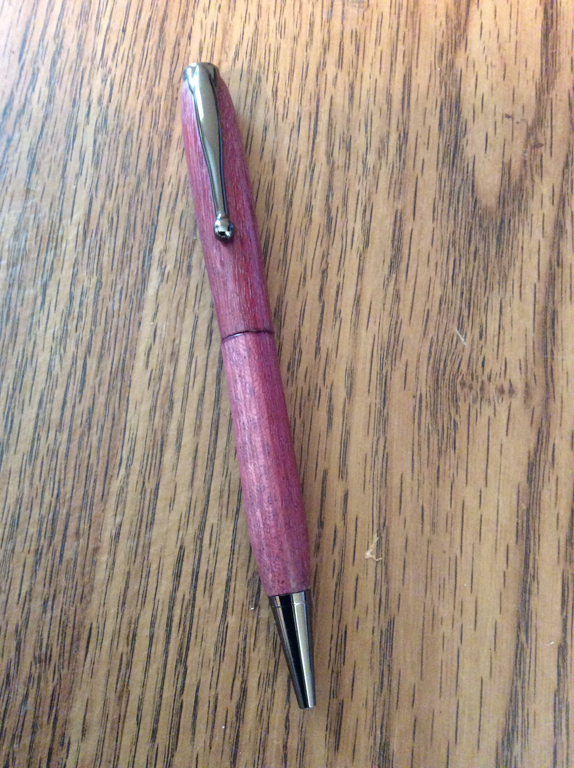 Here's Jeff in his new place along with the 1st pen from his own lathe. 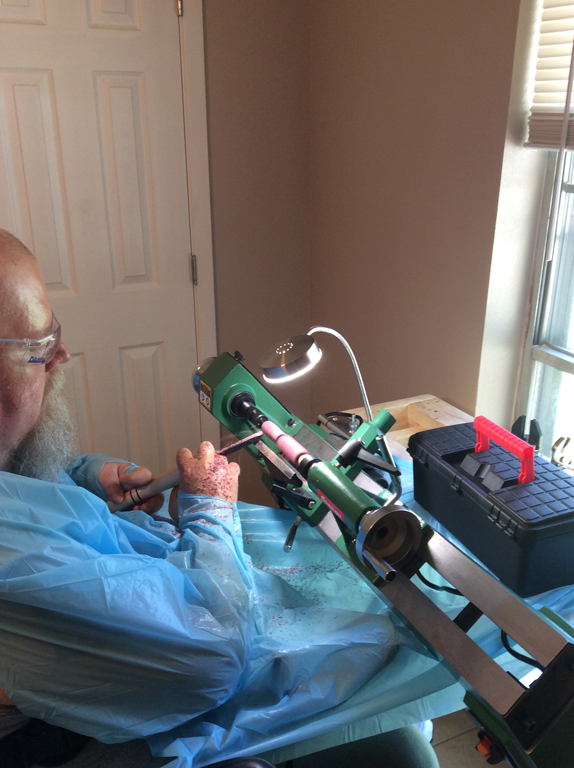 Ken helped him get setup by building the lathe table. Looks like you are doing well. Hope that everything gets better with time. If you need kits or blanks, let me know. I will send you some. Us vets got to stay connected. 501-256-1218. He lives about a block off the freeway at the Redmond Rd exit at 1004 Heather Street Apt C Jacksonville, AR 72076.